We only tattoo adults: you must one in order to enter the building. The white marble fireplaces are original to the 1872 construction. "The Newell House" - 457 James Street was built in 1872 for a carriage maker by the name of Joseph Newell. It has been home to the 28th Mayor of Syracuse, Thomas Ryan, and a funeral home in the past and now it's the site of The James Street Parlour. The building is a classic example of the Second Empire architecture style and features a Mansard roof and multiple exterior corbels. Behind the main house the carriage house continues the features of the original roof with its "dragon scale" slate tiles and oculus windows. The mahogany paneling and ceiling were installed in 1907 by Thomas Ryan in what was the dinning room it now becomes The Dragon Room. We will be included on the North East Hawley Development Association (NEHDA) historic house tour this summer - for more details please click here. Please bear in mind that minors will not be addmitted to the building. We are the oldest building on the block between North State Street and Townsend Street - the only one on the 1874 map still standing. The house was originally constructed with a "sister", a mirrored twin, on the west side which was demolished in 1962 giving us our large parking lot. The observation towers that stood on both sides of the building must have given a commanding view across the city and all the way up The Erie Canal. It appears that Mr. Ryan made extensive alterations to the lay out and materials in the building at great expense. 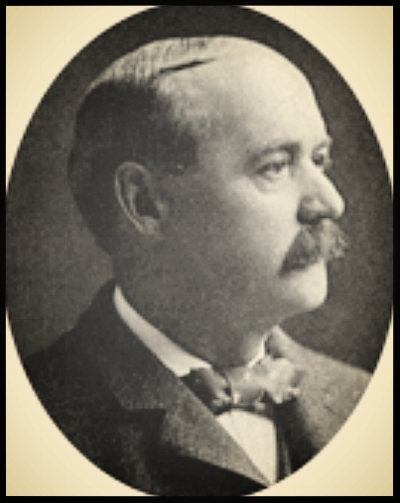 Architect Charles Erastus Colton (he designed City Hall in 1889) installed Corinthian columns and a mahogany lined dining room. The paneling size and shapes are almost an exact copy of the the oak paneling installed in The Onondaga County Court House in 1906. A gilded plaster molding of a cherub and acanthus spans one chimney breast and the gold carries through the space on the column tops. The oak flooring mentioned in the article survives only in the former dining room. Apparently this brewery was active during Prohibition which makes it an oddity. Some breweries were able to stay in business by producing "near-beer" which was very low alcohol, some switched over to bottling sodas or other beverages, some became Ice-houses or other related businesses. In the 1930s the building became a funeral home run by the Ballweg family up until the mid 1960s - in this photo the observation tower is long gone and the only remaining evidence of the sister house today is the first granite step (still in place today) and the ghosts of the fireplaces on the spine wall chimneys. There was a major renovation in 1984 and in 1985 it became offices and retail space - among the previous tenents -The People for Magnarelli, a photographers studio, a dress shop and an interior design shop.